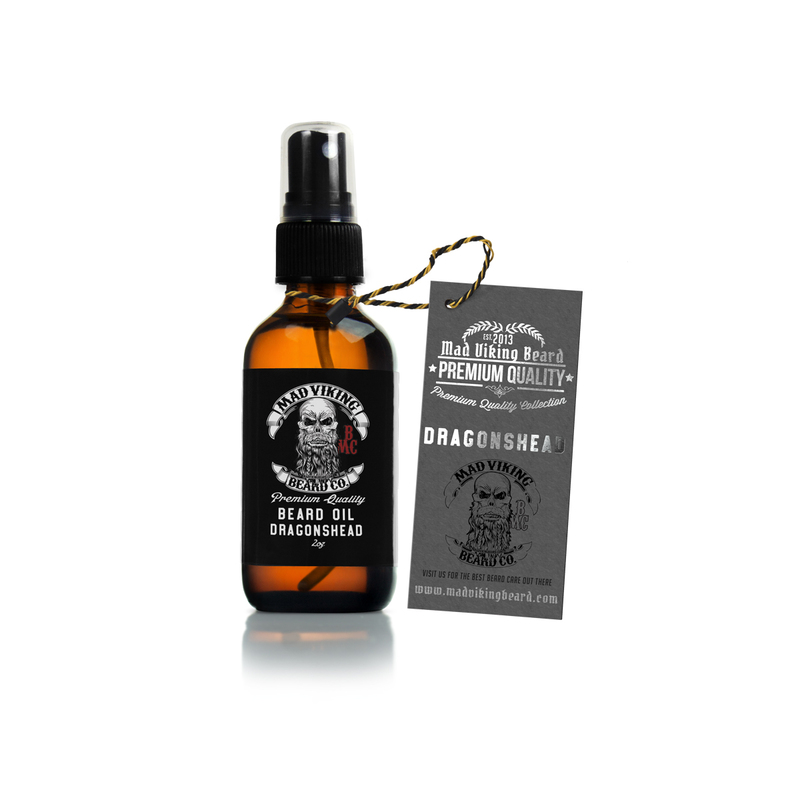 Dragonshead Beard Oil & Balm Combo 2oz - Mad Viking Beard Co.
[Dragons-Head]: Viking sea vessels were often mounted with a dragon or serpents head on the prow, it’s intention was to frighten away sea monsters, evil spirits, as well as other sea going vessels. When approaching foreign shores it would be removed to prevent scaring off the friendly land spirits. Scented with coconut and lime, we designed Dragonshead Beard Products to honor those brave enough to risk everything. Return to the time when your ancestors took their first deep breath on foreign shores. The sun beating on their backs, adventure and the unknown ahead. Upgrade to the starter pack and get a beard wash with your order! Dragonshead is scented with coconut and lime. Our Beard Oil Blends contain the following 8 nutrient rich base oils in just the right percentages to help maintain, condition, manage and promote healthy growth of your beard without looking greasy. 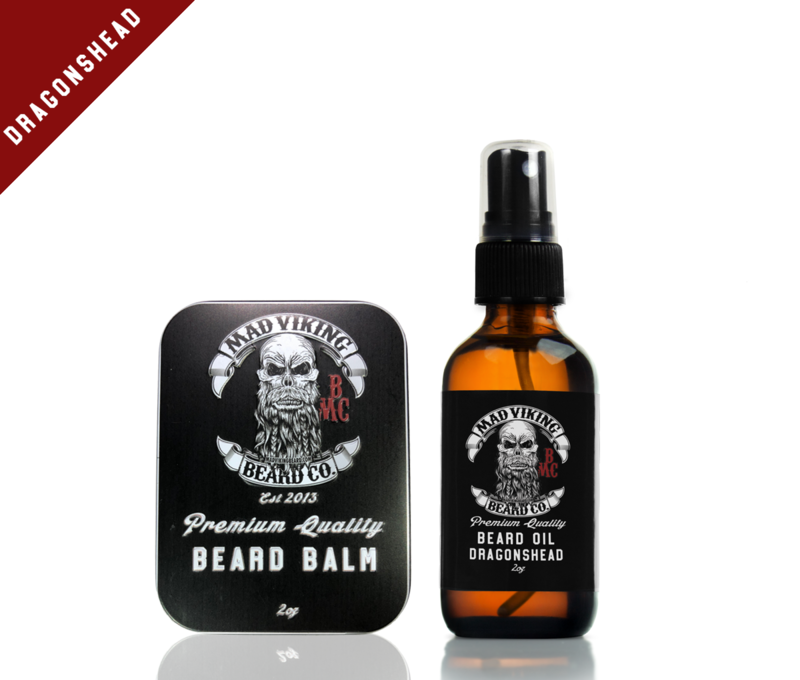 Mad Viking Beard Oil Blends are just better for your beard. For more information, click here. 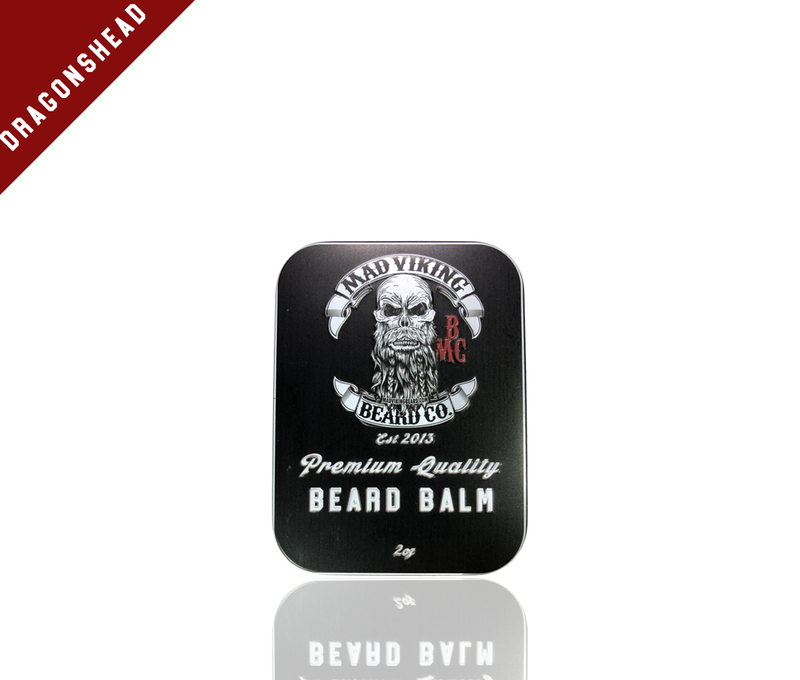 Our Beard Balm Blend consists of the following nutrient rich base oils, butters and waxes to help maintain, condition, manage and promote healthy growth and provide a medium styled hold without looking greasy. Mad Viking Beard Balm Blends are just better for your beard. For more information, click here.